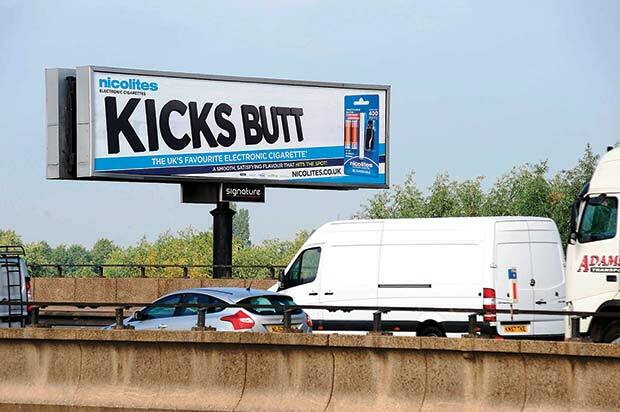 Despite launching just before the collapse of Lehman Brothers in 2008, Nicolites, the e-cigarette supplier is now one of the UK’s fastest growing companies, and set to turn over around £1 million a week by next year. The catalyst for Nicolites’ launch was the ban on smoking in all enclosed work places which came into effect in England on July 1 2007. 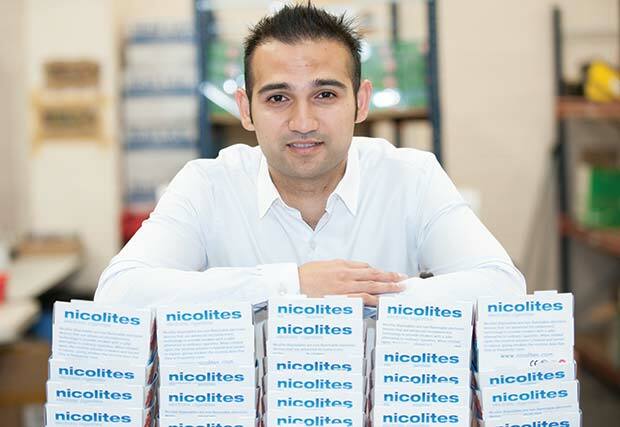 As smoking bans began to roll out across the world, the development of acceptable alternatives was gathering pace and Nicolites’ founder Nikhil Nathwani travelled to China to examine the emerging technology of electronic cigarettes. He saw the potential for a massive future for e-cigs, and Nicolites was born. 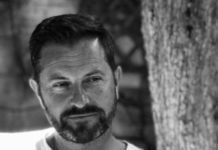 Nicolites accrued the necessary accreditations and licences to become one of the first suppliers of e-cigs to the UK market, and in the six years since then its growth has been extraordinary. 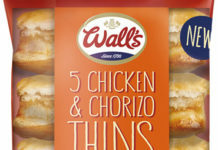 In 2011 the company turned over £600,000, rising to £6 million in 2012. This year so far sales have topped £23 million and are forecast to hit £50 million in 2014. Confirming Nicolites’ status as a major brand, it has recently agreed a major sponsorship deal with Birmingham City Football Club, which sees the Nicolites brand adorn the team’s shirts for the 2013/14 season. 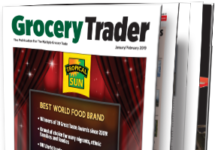 Nikhil Nathwani, Managing Director of Nicolites, spoke to The Grocery Trader. 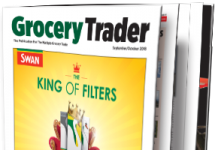 The Grocery Trader – First of all, Nikhil, what does your role as Managing Director of Nicolites involve from day to day? 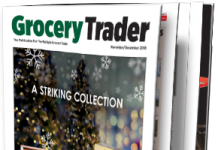 Do you personally deal with the supermarkets? I like to get involved in the business as much as I can. I want to see how everything is operating, and I’m continuously thinking of ways to improve the business. A typical day? There’s no such thing at Nicolites. Every day is different and that is what I love about the company. I meet with supermarkets quite regularly and have a good relationship with them all. GT – What were you doing before you set up Nicolites? I was working for the family business and running a bar with shisha pipes in Leeds. At the time of the smoking ban I was tasked with finding ways to accommodate our smoking customers, and so I went to China to have a look at electronic cigarettes. I came back and convinced my father Harish Nathwani, a successful businessman in his own right, and my uncle Nilesh Nathwani and his business partner Parag Khiroya, who owned a pharmaceutical company, that e-cigarettes presented a superb investment opportunity. They helped me get Nicolites off the ground, including getting the necessary accreditations and licences. GT – Where are you based in the UK? 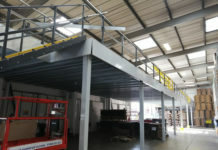 We’re based in Birmingham in the West Midlands. GT – Where do you make the products you sell here? The products are manufactured in China. GT – Do you sell your products in any other countries besides the UK? We have recently had a lot of interest from abroad. We are beginning to distribute to Portugal, Australia, South Africa and many other countries. GT – There are lots of different e-cigarette and related products on the market. Why should retailers stock Nicolites? 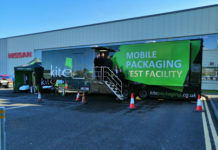 You’re right, a number of other companies have come into the e-cigarette market in the last five years but none have enjoyed the same success as Nicolites. 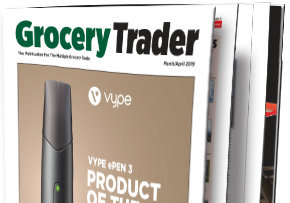 A recent survey by Epos Data Facilities Management found that six of our products, including our menthol and cherry flavoured e-cigarettes and our electronic cigar, were in the top 10 selling e-cigarette products in June 2013. 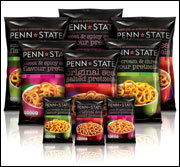 Retailers will also benefit from our mass advertising campaigns that will drive sales to their stores. GT – Which retailers are your products stocked in? Nicolites are currently stocked by more UK retailers than any of our competitors. 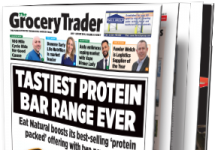 You’ll find them at Tesco, Asda, Sainsbury’s, Superdrug, Co-op, and WH Smith as well as more than 10,000 independent pharmacies and convenience stores. GT – For the uninitiated, what are e-cigarettes? Electronic cigarettes look and feel just like real cigarettes but are battery powered and contain a nicotine solution, which is inhaled as a vapour. 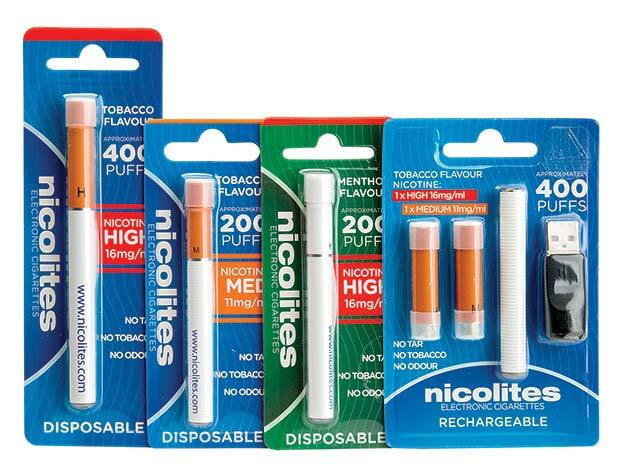 Unlike cigarettes, however, Nicolites do not contain tobacco, tar or a plethora of chemicals that are found in cigarettes. GT – What about e-cigars? E-cigars have been requested by our customers over the last year or so, and as a result we have recently launched our e-cigar to satisfy that demand. GT – How much healthier are e–cigarettes and e-cigars than tobacco? Well, they do not contain tar, tobacco, carbon monoxide, or any of the other 4,000 harmful chemicals that you would normally have when smoking a traditional tobacco cigarette. GT – How does the cost of smoking e-cigarettes and cigars compare with conventional ones? With the cost of cigarettes spiralling upwards, Nicolites can have real financial benefits to users. Our filters – which last for approximately 600 puffs – are only £6.95. GT – How does the nicotine level compare with conventional tobacco? The level of nicotine in our products is varied. Our highest strength – which is our most popular strength – has approximately 16mg/ml of nicotine and, although it is difficult to compare this with traditional cigarettes, it equates to 0.8mg per cigarette. 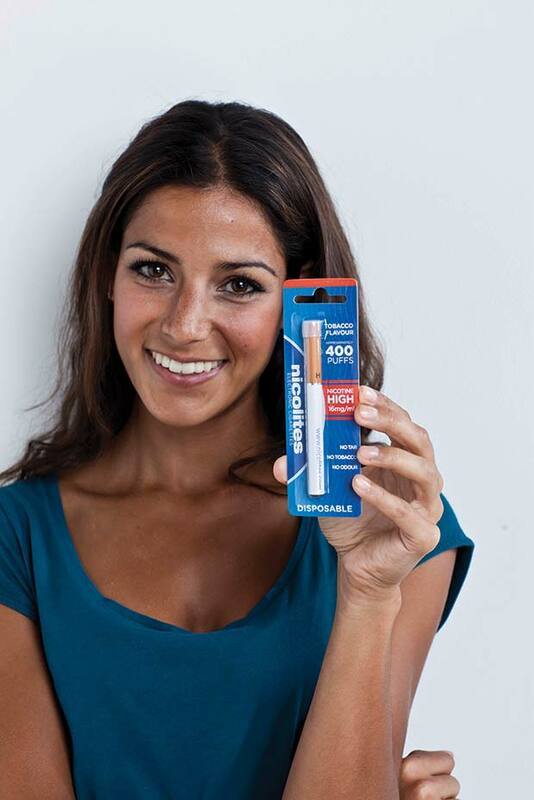 Those who are used to a milder cigarette have the option of trying medium, low or even zero strength filters. GT – How old do consumers need to be to buy e-cigarettes and e-cigars? What are the consumer demographics for e-smokers? Is there a typical consumer? Customers need to be 18 or older to use our products and we only market them to people who do already smoke. I guess answering that question is the same as asking if there is a typical smoker. We find that there isn’t really a specific demographic and users of Nicolites range from 5-a-day social smokers in their early twenties to 40-a-day chain smokers in their later years. GT – Where are people currently allowed to smoke e-cigarettes and e-cigars in the UK? Legally, because there is no tobacco or lit substances, Nicolites do not fall under any smoking ban. 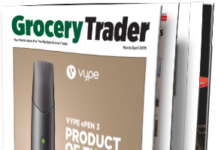 GT – What are the UK regulations about sale and display of e-cigarettes and e-cigars in retail outlets? As Nicolites do not contain tobacco, they are not affected by the rules on the display of tobacco in retail stores. So you can put our products anywhere. GT – The Medicines and Healthcare Products Regulatory Agency (MHRA) has announced plans to license e-cigarettes by 2016 to improve their quality. How does the quality of your products measure up? We very much welcome their plan. We believe, and have always believed, that these products should be to a certain quality and we make sure that the quality of Nicolites is second to none. GT – Who do retailers need to call, to order stocks of Nicolites? How quickly can you deliver them? Retailers can call our Customer Service team to order their Nicolites on 0121382 2285 Option 3 and they will receive them within 2-3 working days. 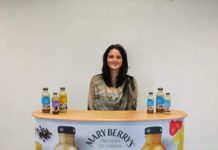 GT – What consumer advertising and promotion are you doing to get the message across to consumers? 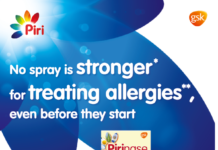 We have spent just under £1m on a nationwide advertising campaign which includes around 1,000 billboards in major towns and cities, adverts on taxis and buses, as well as major advertising activity in prime London locations. This is being supported by a radio advertising campaign.